I love subscription boxes. Maybe it's because it’s like getting a little gift each month. Maybe it's because I love a deal. Maybe it's because I live in NYC, so anything that can be delivered straight to my door is a good thing. Either way, I love subscription box gifts too. It's so simple. Just pop online, buy something in the genre of your recipient’s interest and click. You can get them for holidays, birthdays, anniversaries and more! What could be better? Here's a selection of subscription boxes that people should definitely keep an eye out for this holiday season and beyond. Obviously wine is always a good choice for a gift. Wine that gets delivered monthly? Even better. Winc (formerly W) focuses on wines made by women, so you've got a little feel-good aspect to it as well. #GriogioGirls. Buy your gifts here. For that friend who already has a Winc subscription, why not get an accessory box? Uncorked is one of my favorite new finds. Each box is tailored with wine themes like a Rosé Lovers Box, a Welcome Home Box, or the November Travel-themed box I received courtesy of Amanda, their owner. I can’t recommend Uncorked enough so what are you waiting for! Buy here. Skincare is important, and winter makes your skin dry. Blah, blah, blah, we all know that Korean Sheet masks are all the rage! If you're not on the sheet-mask train, catch up, bb. Now you can get a new one each month? Yes please. If you want to buy a box or buy in bulk, click here! Do you have a favorite fandom? Maybe it’s Lord of the Rings, Sherlock or Doctor Who. Do you love tee-shirts, bookmarks and fan art? Then get your hands on a Nerdy Post box ASAP! 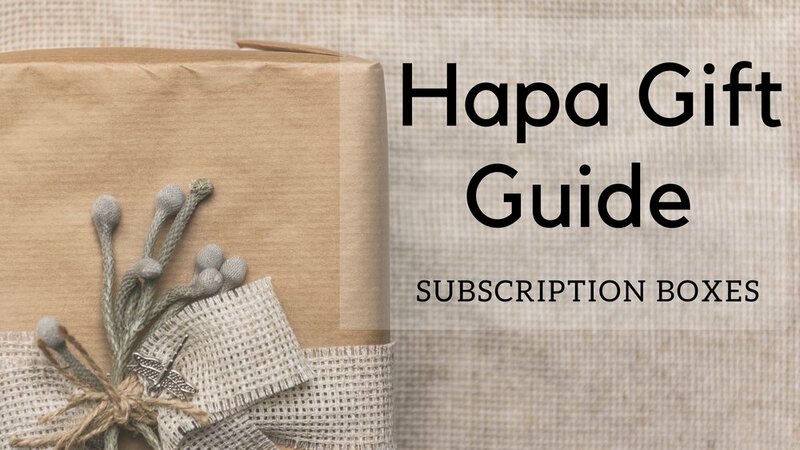 It’s the perfect subscription for all of your nerdiest friends. But do it quickly, as the past boxes are running out quickly! Buy here. This box was made for the ladies, by ladies! It’s like a female-centric subscription box. Each box comes with something special: t-shirts, comic books, enamel pins, artwork, and so much more. Past boxes include items from shows like Parks and Rec, iZombie, Star Wars, Legends of Korra and so much more! Go to their Give A Gift page and buy. This one’s for the Literary Nerds in your life, especially those who read books by "debut writers and marginalized voices." In addition to books, the box also comes with a corresponding "tea from small, local tea makers." Books and tea? Sign me up! Buy here if you want to give a one-time gift box, or pre-pay for 3 to 6 months. I don't love sports, but my boyfriend does. And boy-oh-boy is this up his alley. 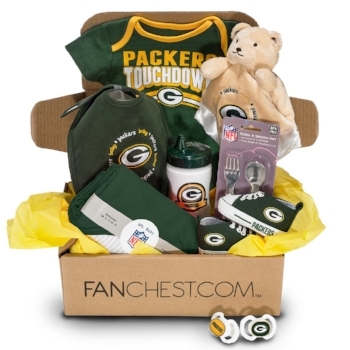 Fanchest is a box that gets you ready for the next season of whatever sport you love. Hockey, football, baseball, basketball and college; it's all here. Each box comes with memorabilia and exclusive goodies. There's the chance to upgrade to more exclusive signed items. You can even get a baby box for a little one. It's a steeper price than some of these, but the value for the sports fan in your life will be worth it. Buy your Fanchest here!